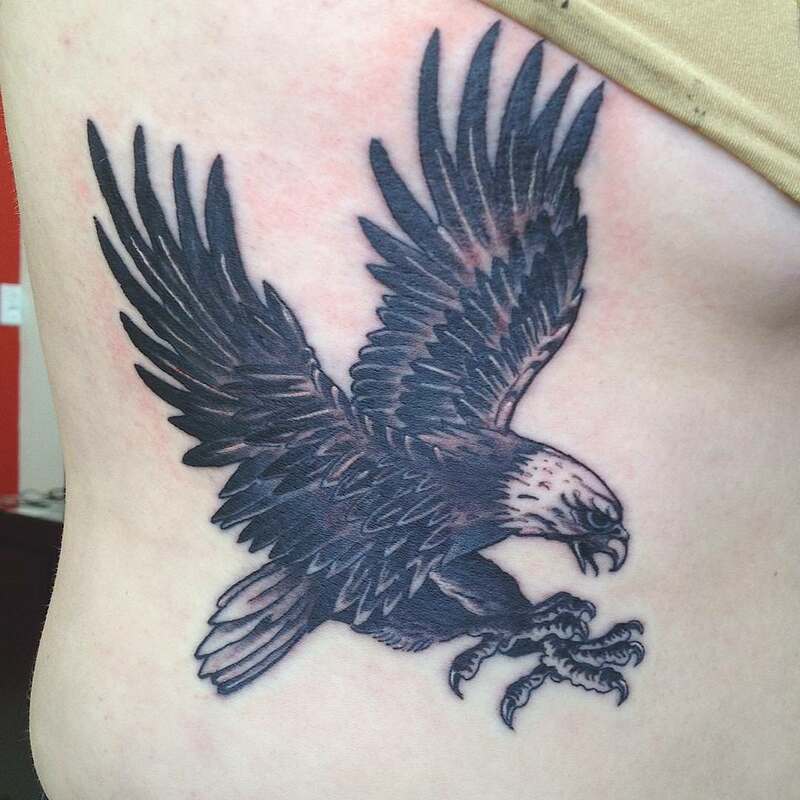 An eagle often soars amongst the clouds, preys on smaller birds and creatures, symbolizes strength and superiority. 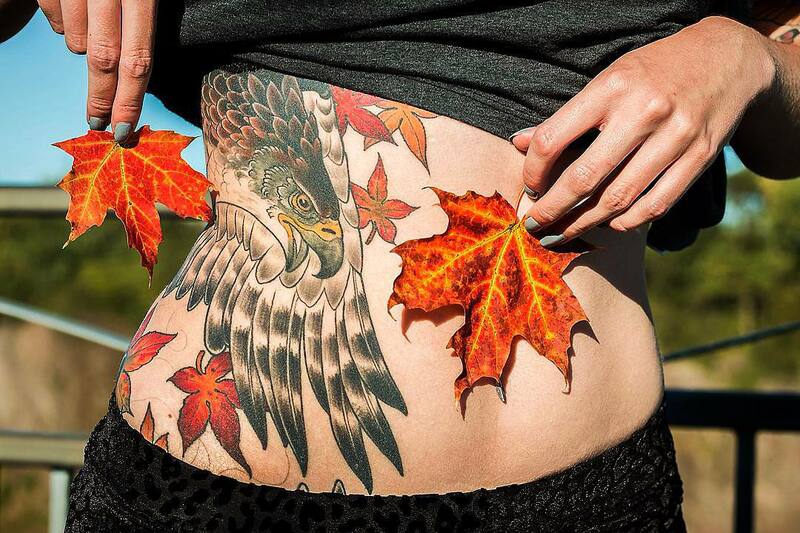 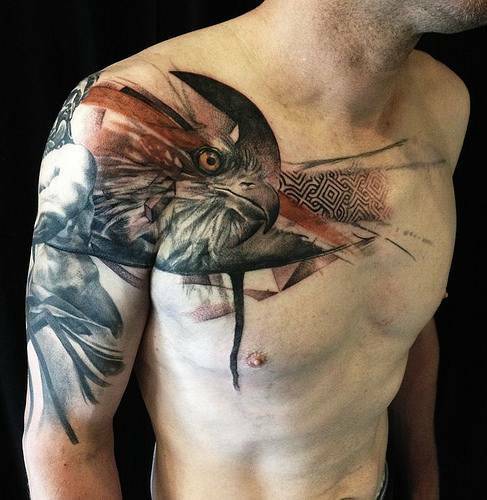 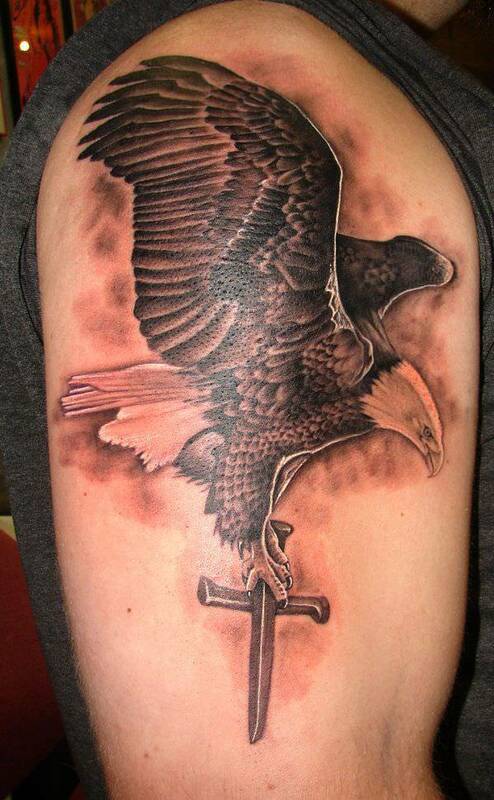 This is most likely why the eagle tattoo most popular designs requested worldwide. 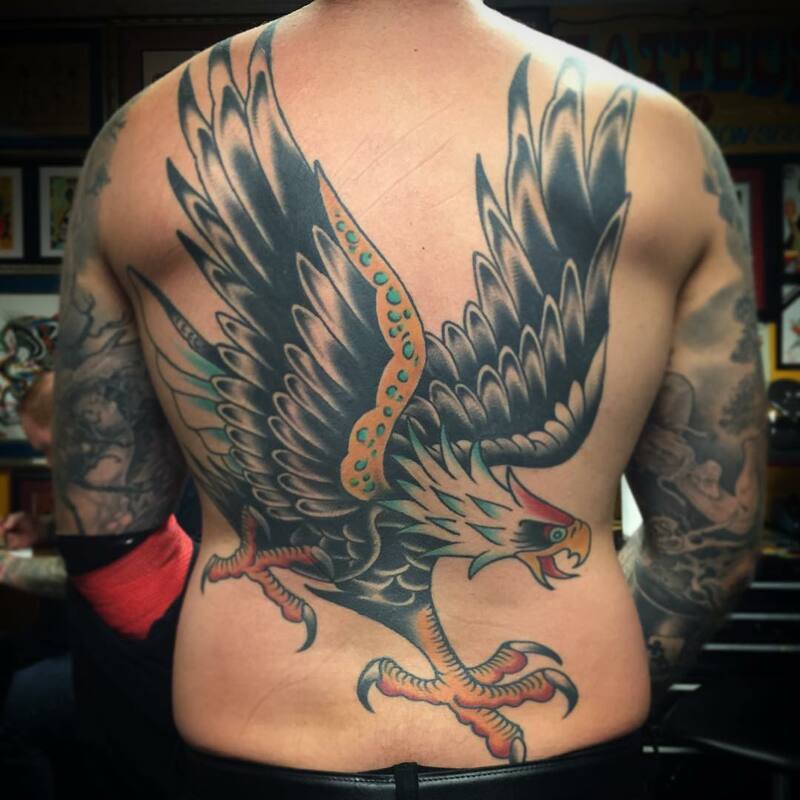 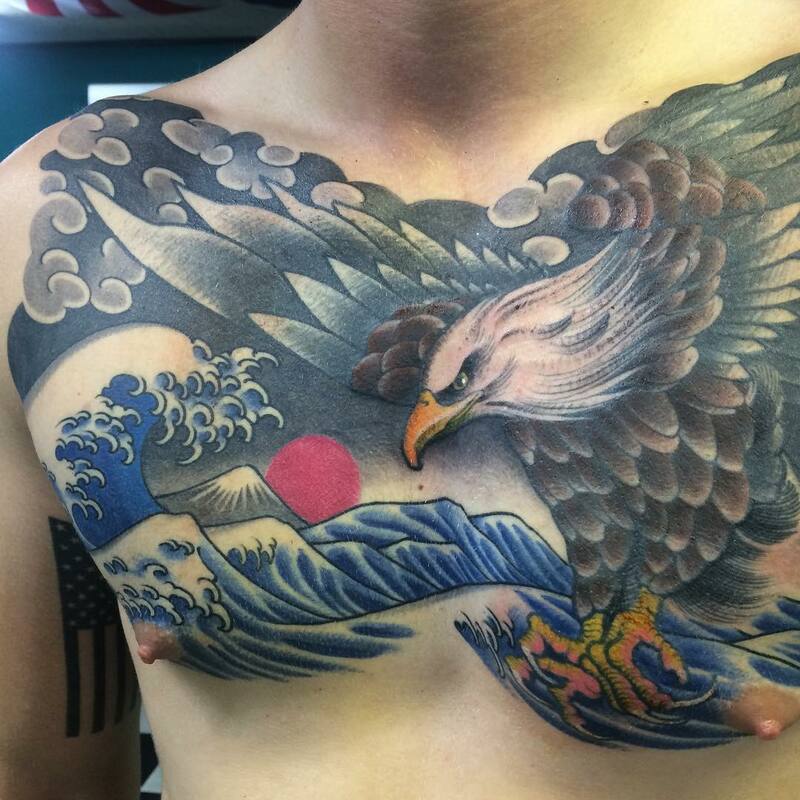 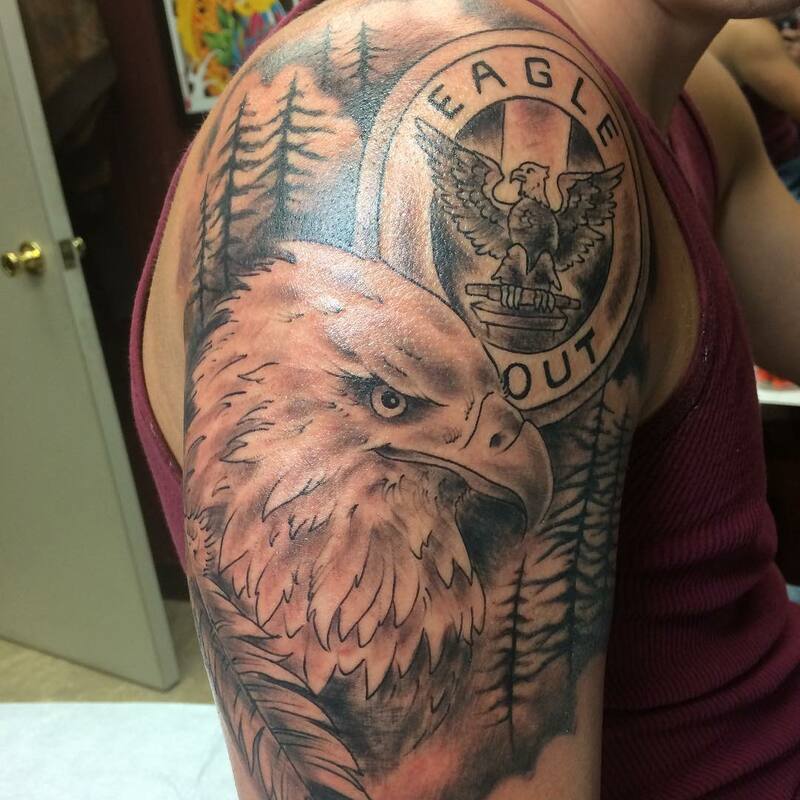 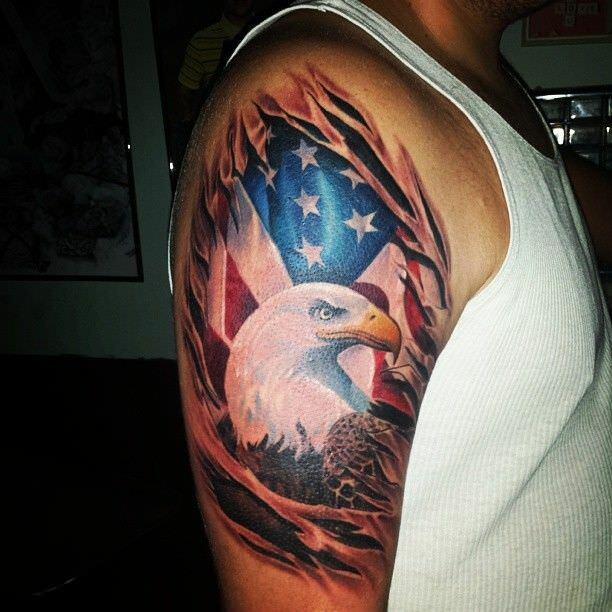 An eagle tattoo on one side of a broad chest symbolizes the ultimate patriotism and power for an American. 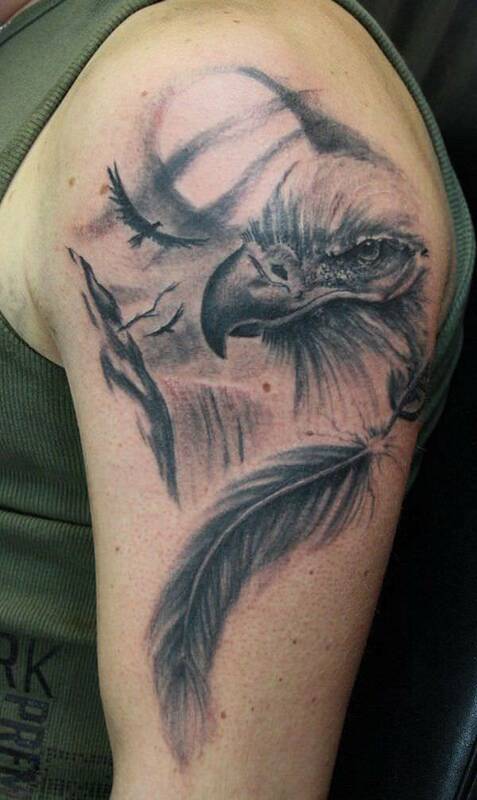 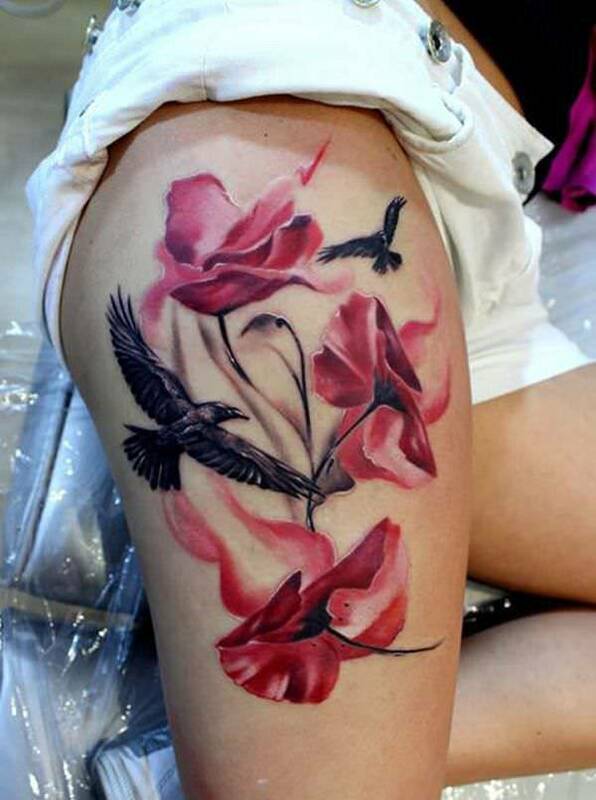 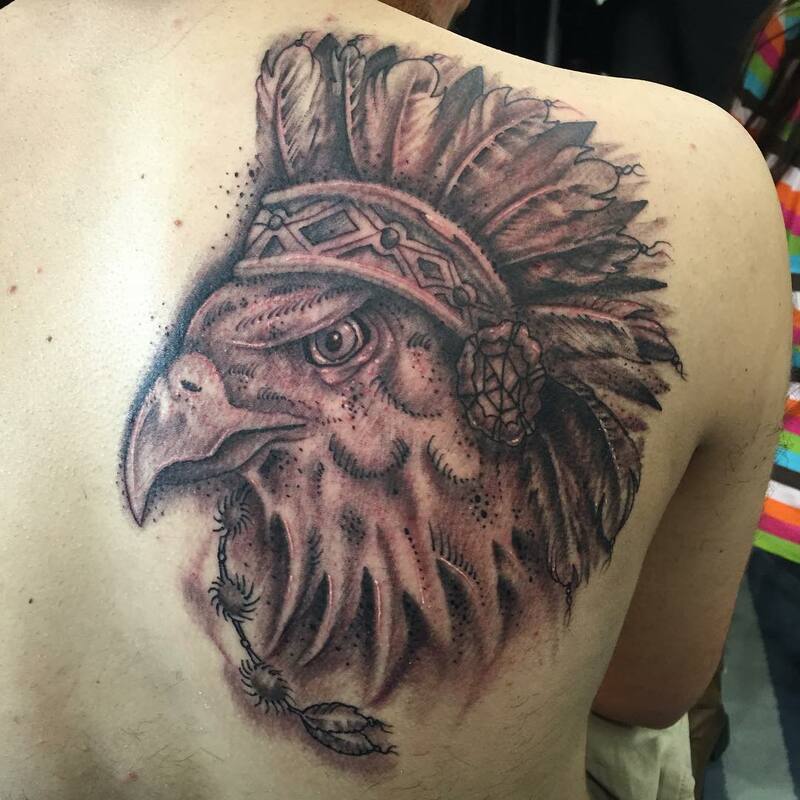 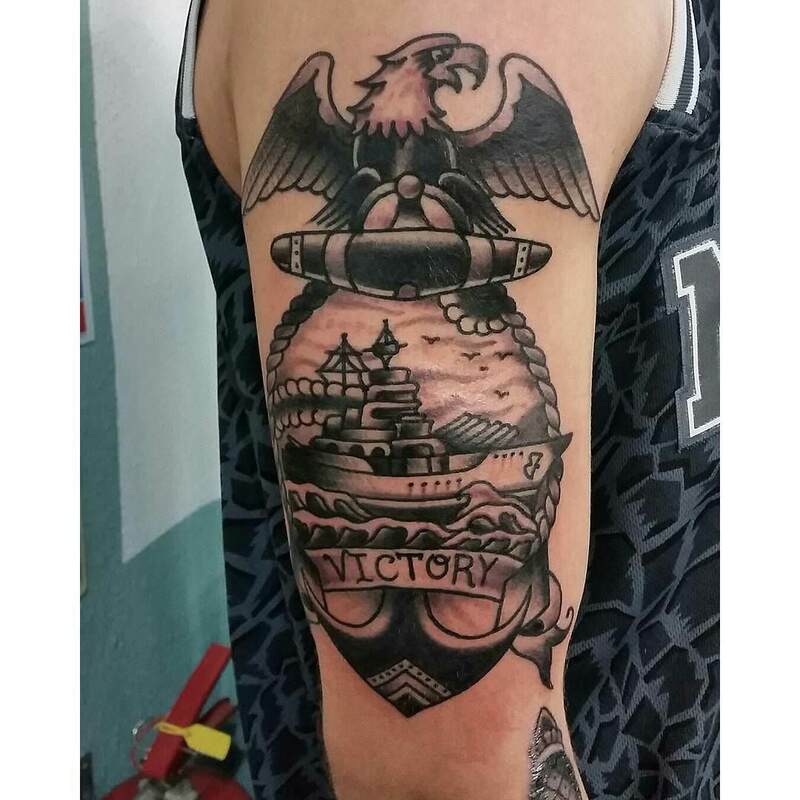 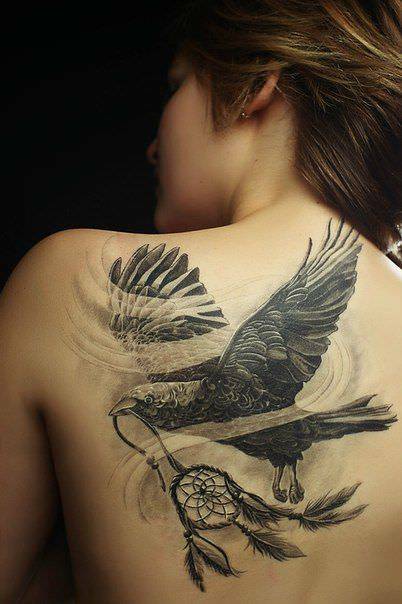 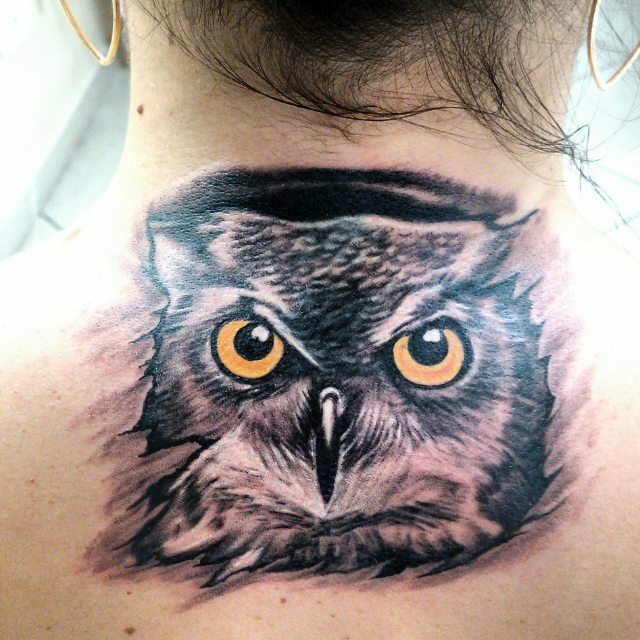 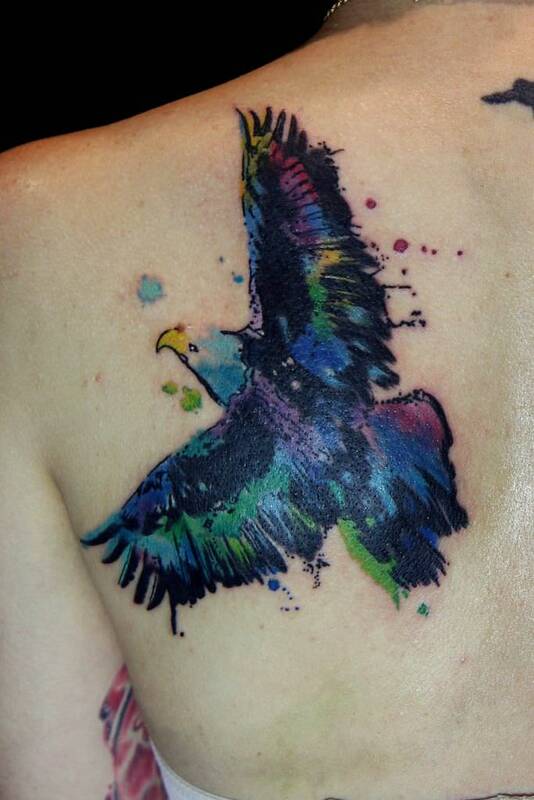 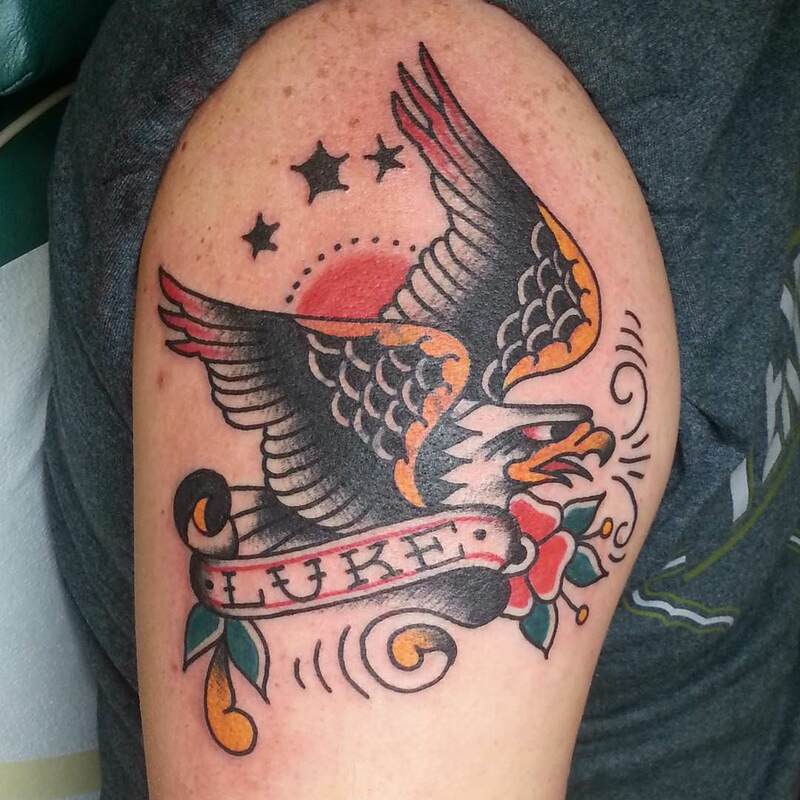 This tattoo design is ideal for those who consider an eagle as their national symbol. 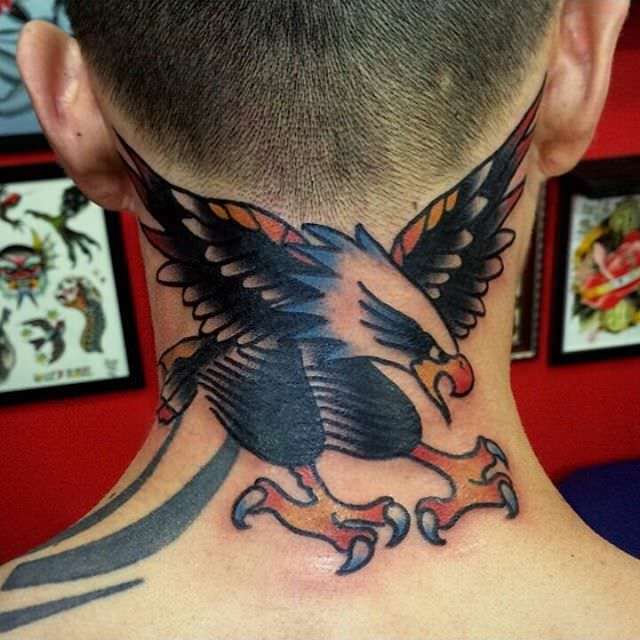 A small eagle tattoo located on the neck is a beauty enhancer, along with having a sense of security. 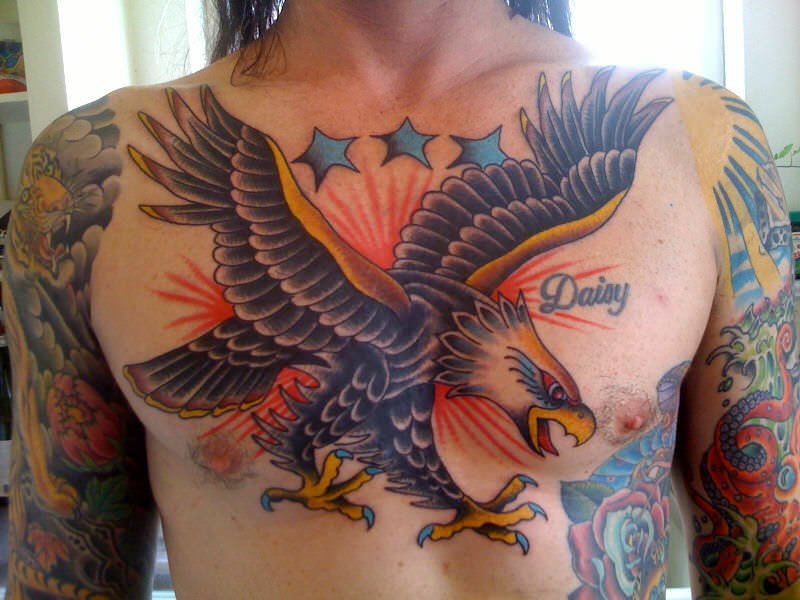 It is important to remember that this eagle design is always visible unless a high cut garment such as a polo neck is worn. 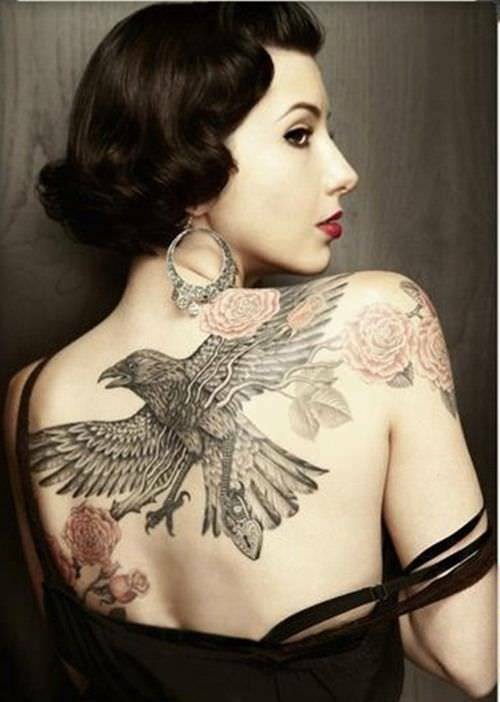 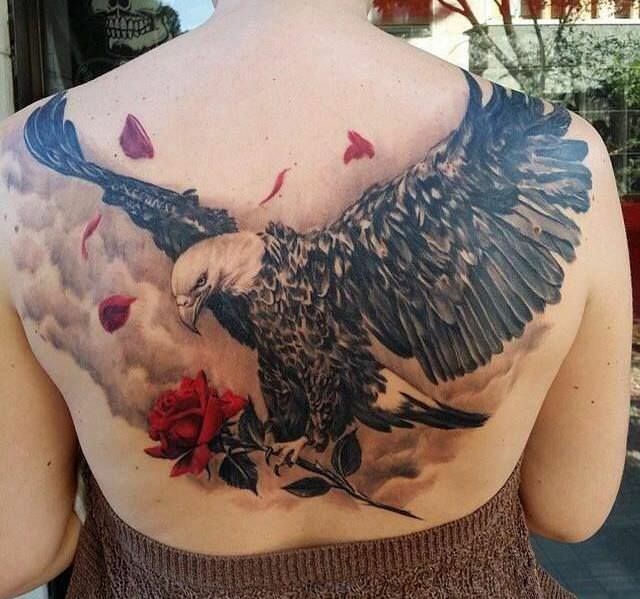 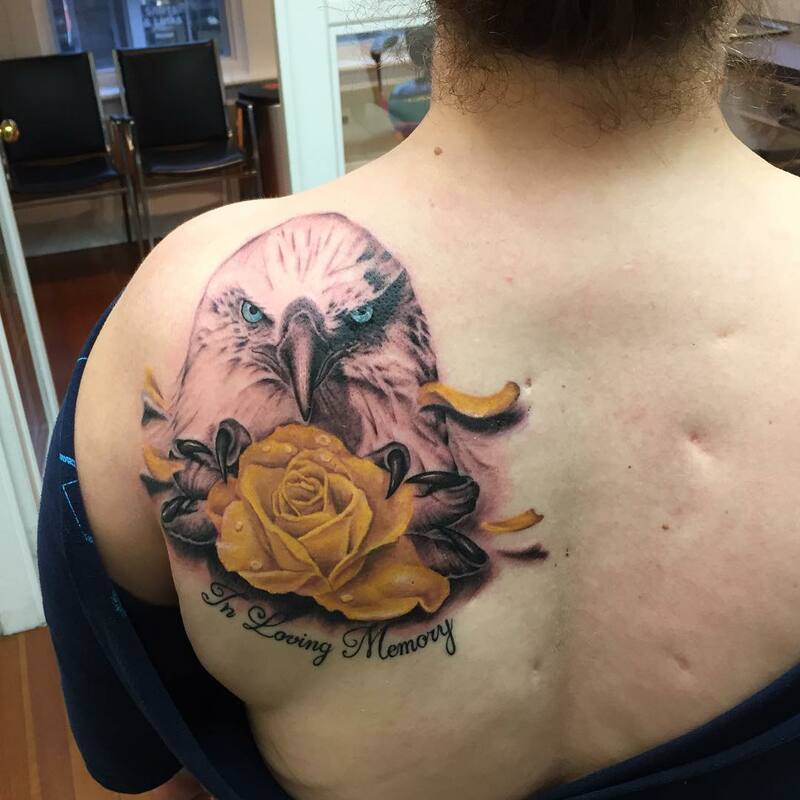 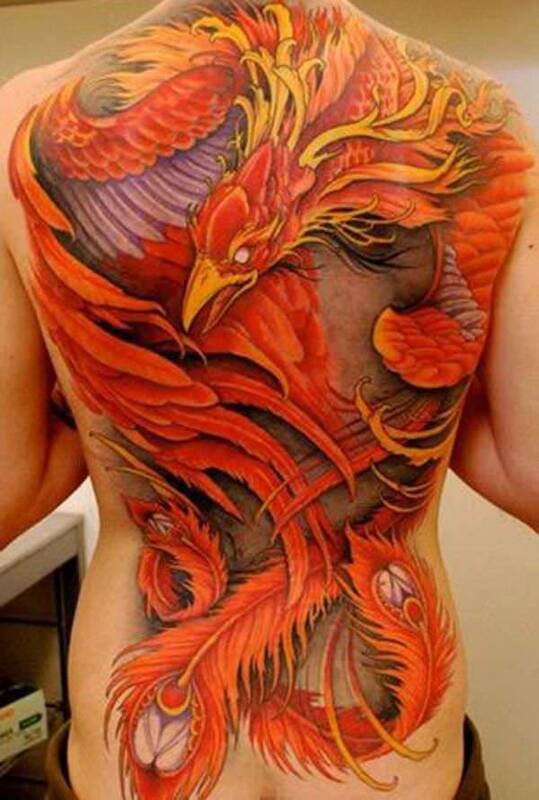 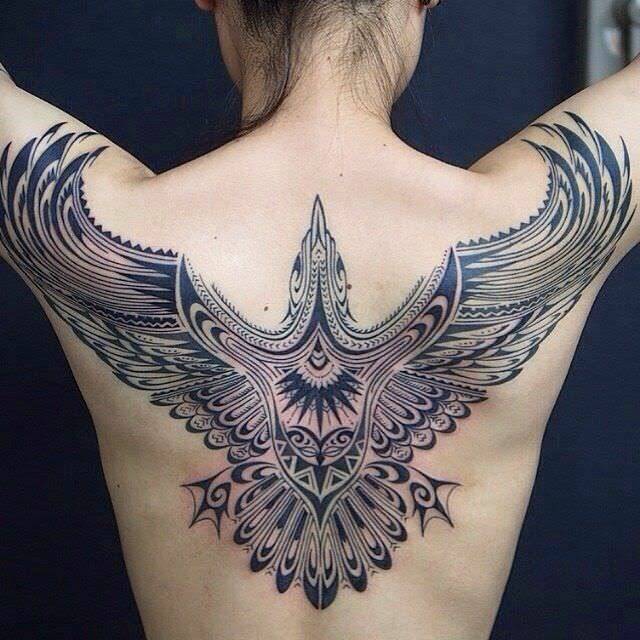 An eagle tattoo that covers the whole back side of a lady with its wings spread out gives females a chance to portray both strength and beauty. 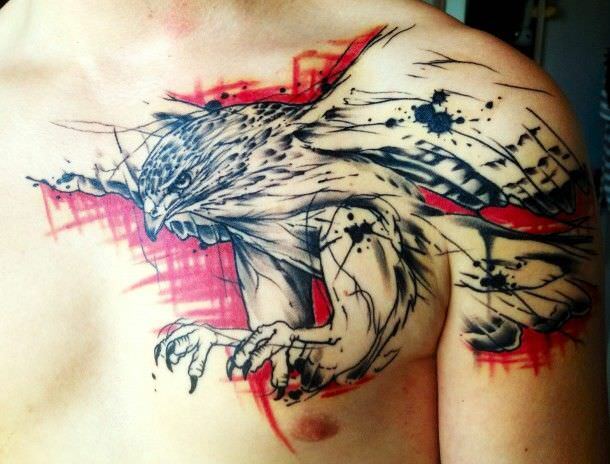 This kind of tattoo is very large and gives the message that the person carrying it is bold and expressive. 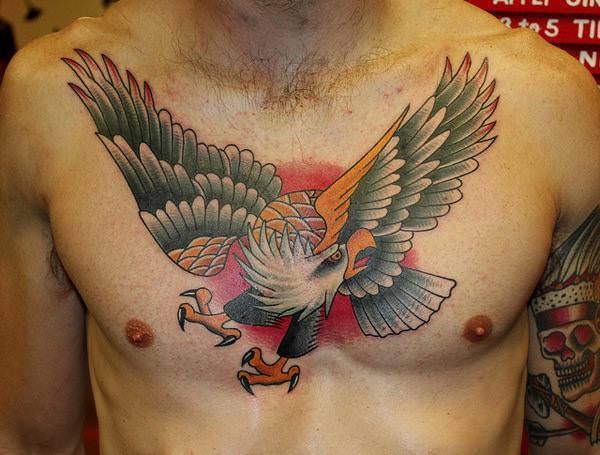 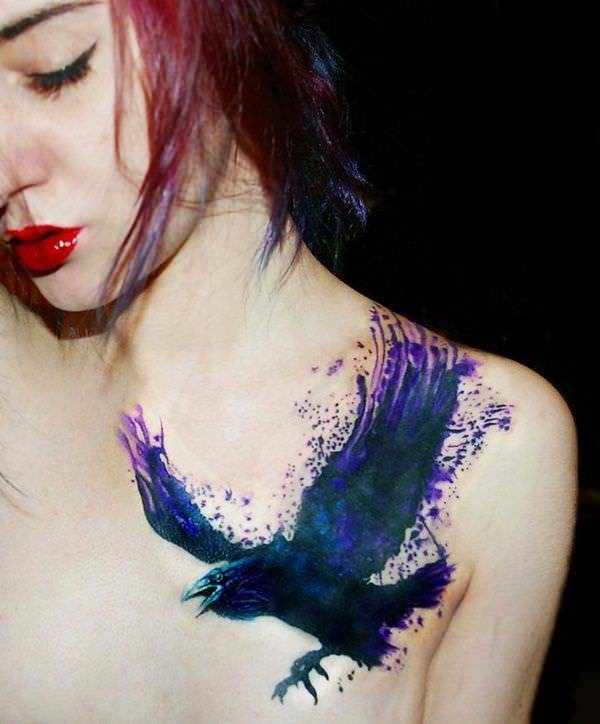 The outline of an eagle design usually spreads on the whole torso. 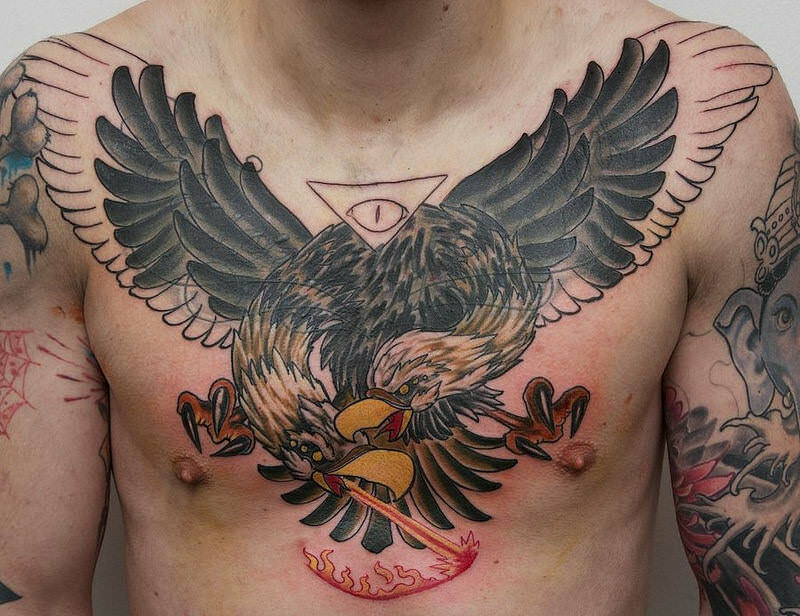 A gliding eagle tattoo on an upper chest gives the impression of strength and protection. 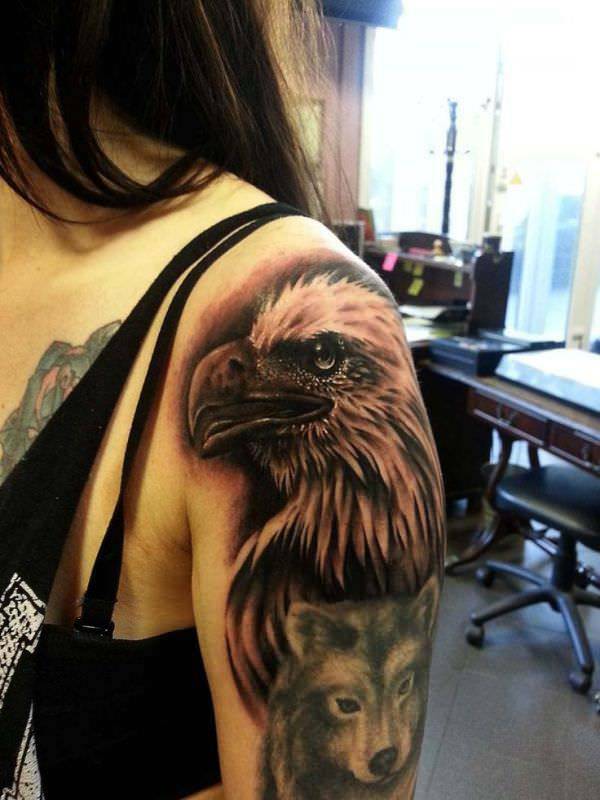 Looking closely, one can also get the impression that the eagle is eyeing an enemy and ready to land on her prey.